This project was part of the City of Toronto’s commitment to investing in 13 priority neighborhoods over a 4-year period to fund new youth-focused recreational facilities. 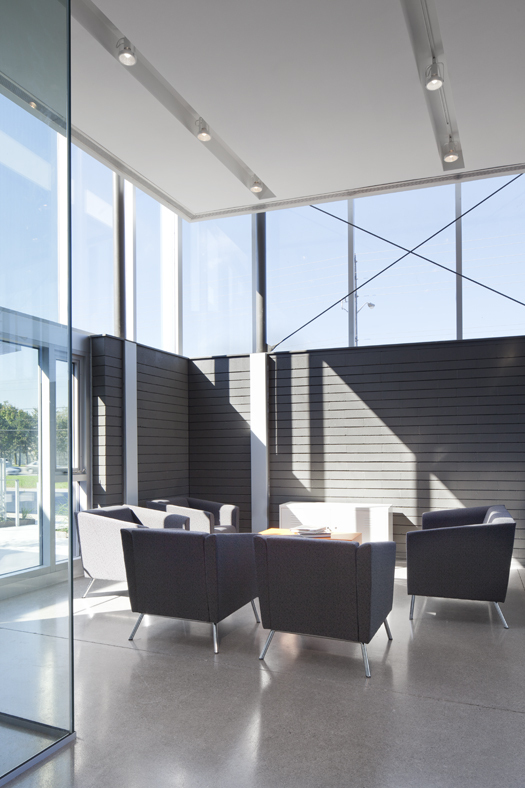 Located in downtown Toronto, the McGregor Community Centre Lounge creates a new street façade that extends out toward Lawrence Ave.E. 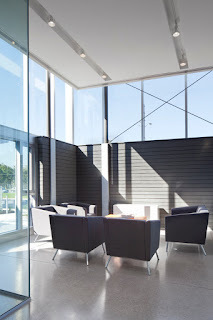 The new Lounge includes meeting space, computer areas, an office, kitchen, ample storage and an outdoor courtyard. 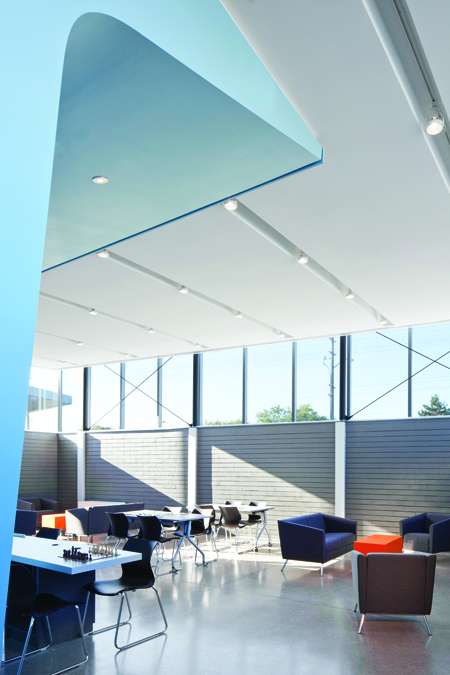 Bortolotto’s bold design for this project was conceived of a horizontal split box. 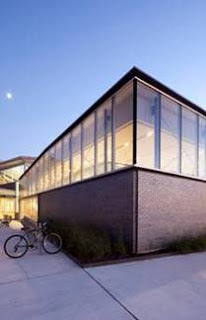 The lower portion is comprised of solid brick and block allowing for visual privacy and a safe and secure environment on the inside as the users had requested. 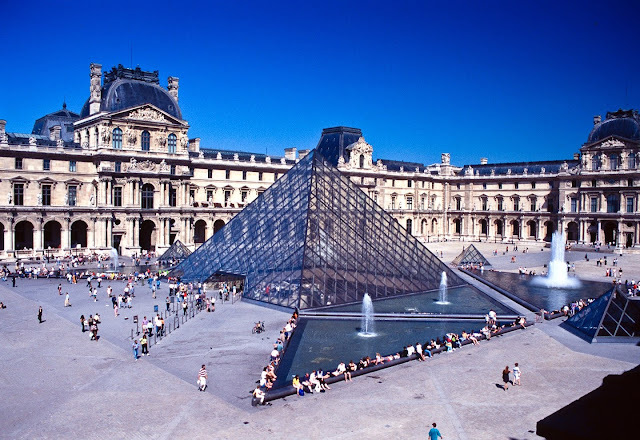 The upper portion is made of glass panels that create a lantern allowing natural light to spill into the space. 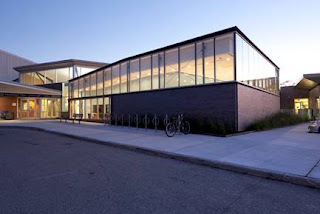 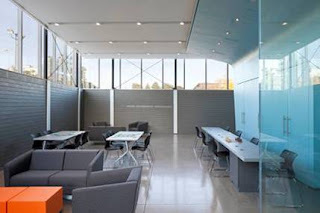 The glass panels in various colors wrap the upper portion of the addition toward the main entry to the building resulting in an energetic focal point of the community centre. 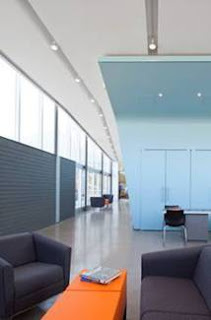 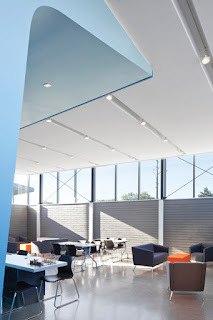 McGregor Community Centre Lounge was the result of an intensive public consultation process, that engaged the local community and gave youth the opportunity to experience first-hand about the design and construction industry. 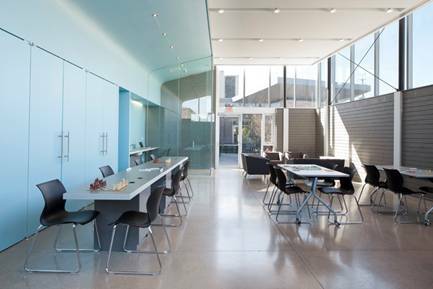 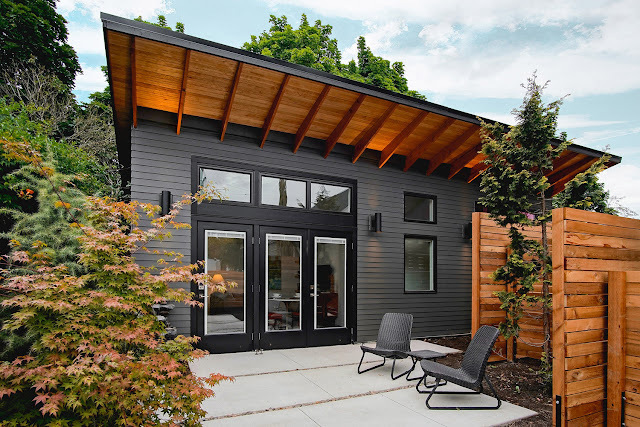 The final result is a bright, open, lofty gathering space. Designed to be a safe, secure and inspiring meeting place, this Lounge has fast become a city jewel and community landmark where youth, seniors and families meet, play and learn.